Psalm 27:4 says ‘One thing I have asked from the Lord, that I shall seek: That I may dwell in the house of the Lord all the days of my life, to behold the beauty of the Lord, and to meditate in His temple’. 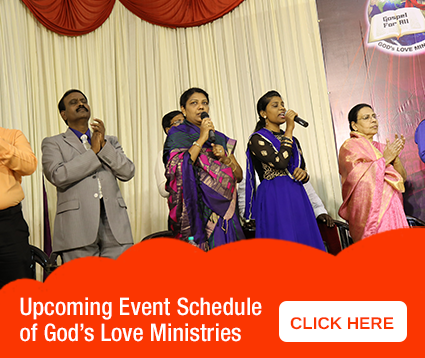 God’s love Ministries Prophetic Prayer Festival took place in the month of Jan 3rd, 2015. By the Grace of God, multitudes attended the meeting and many could not be accommodated due to lack of place. God uses Bro.Stephen in a mighty way and people are greatly blessed. ‘All over the world people long for love and are deprived of love. They lead their life as per their desire and end their life in evil way. As in the times of Noah, I directed him to build an ark, I want you to build an ark. God saved the family of Noah from disaster. Similarly I will save the lives of people who come into the God’s ark of love. As Noah obediently followed my instruction and built the ark , I Similarly I want you to build an ark for the people to be saved from the disaster’. God’s ark of Love will be a space for prayer and meditation. This place will help people on their spiritual journey. It will be a place to deepen their relationship with God. It will be a peaceful environment with beauty of Nature. God’s ark of love will have events throughout the year which will enrich your body, soul and mind through the Love of God. We encourage you to support us in prayers and prayerfully consider partnering with us to build God’s ark of Love for people to be blessed.